Ford Motor Company revealed the new Kuga, offering customers a more technologically advanced, refined and sportier redesign of one of Europe’s favourite sport utility vehicles. 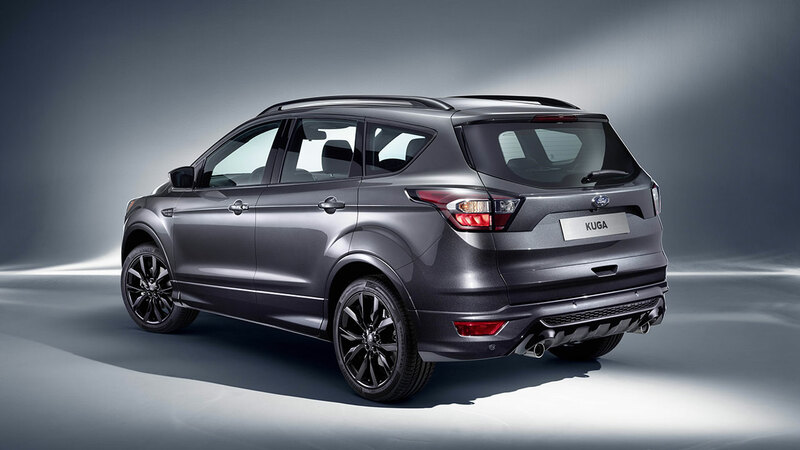 The bold and sporty new Kuga debuts at Mobile World Congress in Barcelona. 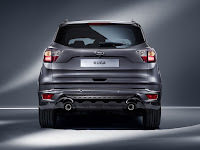 The new Kuga also will offer Ford’s Perpendicular Parking technology that helps drivers park hands‑free in spaces alongside other cars; an enhanced version of the Active City Stop collision avoidance system; and Ford’s Adaptive Front Lighting System for optimised visibility in low light. Further sophisticated technologies include Hands-Free Tailgate and Ford Intelligent All Wheel Drive. 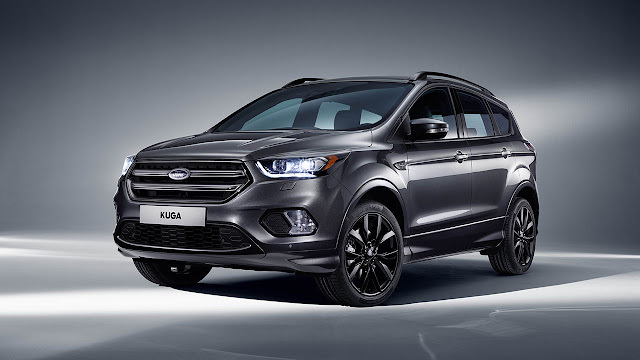 Ford is launching the new Kuga and the larger Edge SUV this year, after introducing an updated EcoSport last year. 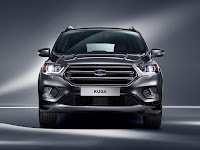 Ford is bolstering its SUV line-up just as it has been predicted by industry sales analyst IHS that sales in the SUV segment are poised to increase to 27 per cent of all vehicle sales in Europe by 2020. Kuga spearheaded the company’s SUV expansion in the UK after first going on sale in 2008. 2015 sales for the full year were 32,936, up 35.2 per cent, compared with 2014. EcoSport sales also grew to 11,315 in 2015, securing 4th position in the small SUV segment. Ford expects SUV sales to treble in the UK in 2016 compared with 2013. 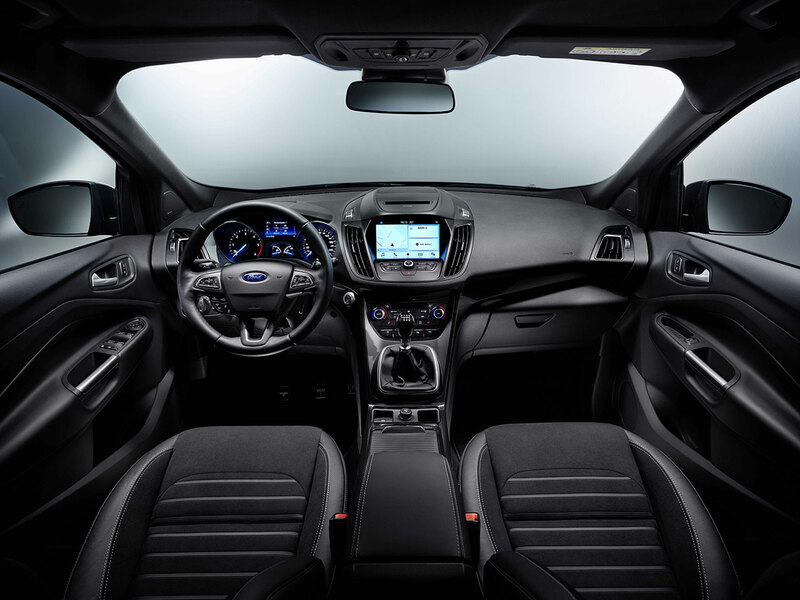 The new Ford Kuga will allow drivers to control audio, navigation, and climate functions plus connected smartphones using simple, more conversational voice commands, with Ford’s new SYNC 3 connectivity system*. Ford has drawn on more than 22,000 comments, and insights gained from research clinics and surveys to ensure the new version is the most customer‑centric system to date. SYNC 3 delivers faster performance, simplified commands, and supports five additional languages. ** Simply by pushing a button and saying “I need a coffee,” “I need petrol,” and “I need to park,” drivers can locate nearby cafés, petrol stations or car parks, and find train stations, airports, and hotels. SYNC 3 also delivers SYNC AppLink for customers, enabling voice-activation from the driver’s seat of a range of smartphone apps that for the first time now includes MyBoxMan,HearMeOut, AccuWeather, Cadena Ser and Los 40 Principales. New Kuga offers an enhanced version of Ford’s Active City Stop collision avoidance system, which now operates at speeds of up to 31mph, increased from 19mph. Active City Stop uses sensors at the front of the vehicle to look for stationary objects in the road ahead and pre-charges the brakes if the vehicle is approaching an object too quickly. If the driver still does not respond the system reduces engine torque and automatically applies the brakes to reduce the impact of collisions, or avoid them altogether. Restyled taillights complete the sporty look, while a new range of 17- 18- and 19-inch alloy wheel designs also will be available in variety of finishes including Luster Nickel. One new colour, the vibrant shade Copper Pulse, will be offered throughout the range. A power-operated retractable tow bar automatically stores itself out of sight below the rear bumper when not in use, to retain the new Kuga’s sporty looks. 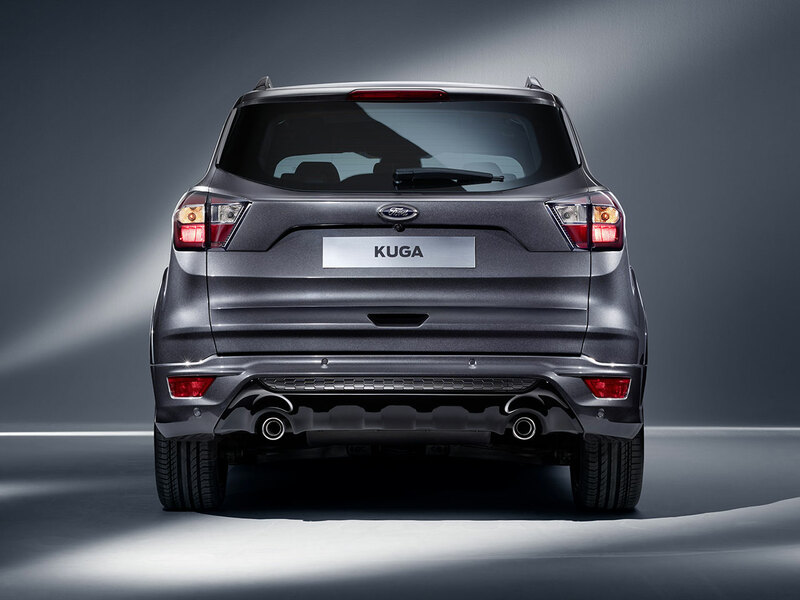 The New Kuga also offers Hands-Free Tailgate that can be opened or closed using a kicking motion beneath the rear bumper. The technology, which was specified by more than 1-in-3 Kuga customers in Europe last year, helps parents to easily access the boot when returning to their vehicle with shopping, pushchairs or toddlers. A new 120PS 1.5-litre TDCi diesel engine is introduced, offered with front-wheel drive, Ford is targeting a fuel efficiency improvement for the new engine of about 5 per cent to 64.2mpg and 115g/km CO2*** while producing the same power. Also available will be a 2.0-litre TDCi diesel engine with 150PS in front-wheel drive and Ford Intelligent All Wheel Drive versions that achieve from 60.1mpg and 122g/km CO2; and a 180PS Intelligent All Wheel Drive version that delivers from 54.3mpg and 135g/km CO2. Ford’s 1.5-litre EcoBoost petrol engine in 120PS or 150PS front-wheel drive form achieves 45.6mpg and 143g/km CO2; and a 182PS Intelligent All Wheel Drive version delivers from 38.2mpg and 171g/km CO2. 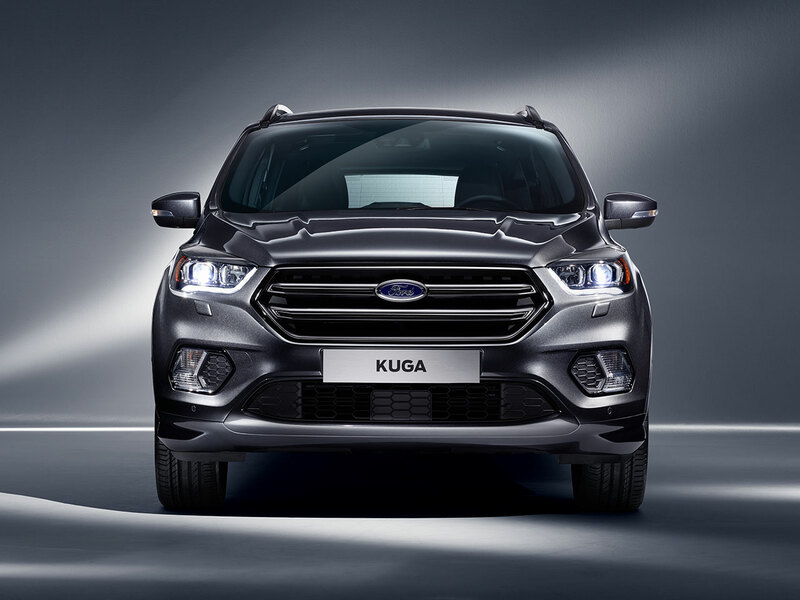 The new Kuga’s sculpted bonnet features a wider, uninterrupted central dome that not only serves to complement Kuga’s sporty new looks, but also incorporates a structural design that more closely controls deformability and flexibility of the bonnet, improving pedestrian protection in an accident. The bonnet and rear tailgate also have been re-engineered to help mitigate damage to more expensive-to-replace components following a collision.